Redesigned for 2014 - Return of the Stingray. 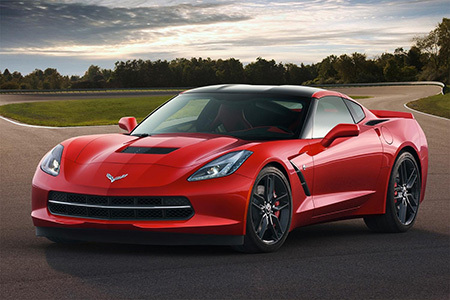 The 2014 Corvette Stingray is the seventh generation C7 version of Chevrolet's sports car. All models now feature aluminum frames. Completely new radical exterior design where all scoops and vents are functional. The rear hatch extends all the way to the tail and opens around the quarter windows. The hatch is wide enough to fit the removable roof . 2014 STINGRAY C7 2LT RARE COLOR COMBO!! !